RIGOL's DP700 Series power supply is an affordable, programmable linear DC power supply for benchtop applications. With quality performance specifications, reliable output, and a small footprint, the DP700 Series provides incredible benchtop value. The DP700s also support options including timing output, trigger function, and high resolution. The transient response time is less than 50 μs. 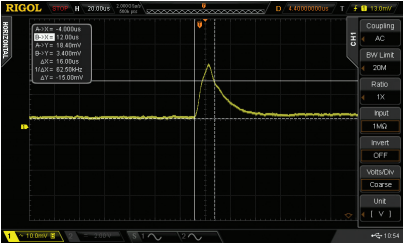 When the transient change occurs to the load current, the output voltage can be quickly restored to the set value, ensuring the output quality. 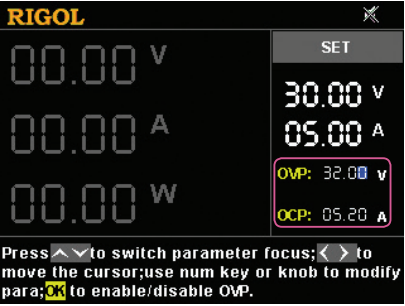 You can set thresholds for OVP and OCP values. If overvoltage or overcurrent occurs, the power supply shuts down the output automatically, and then a message prompt is displayed.